Sage adds a savory note to this recipe while the honeydew is pure sweetness. 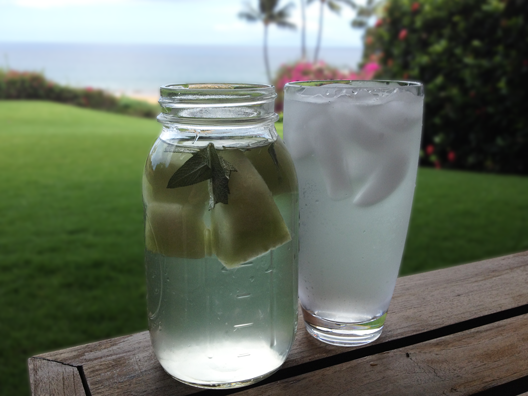 Since both are green in color, it’s a beautiful infused water to behold. Note: since melons are fleshy fruits, they tend to disintegrate rather quickly, so you will want to strain this water before serving. If your infused water appears cloudy, just add ice. Ice cubes make the cloudiness look intentional and also make the water more refreshing! Recipe for a 32-ounce Ball jar: 5 pieces honeydew melon + 4 sage leaves, torn in half. For a fast infusion, leave at room temperature for an hour, then strain and add ice. 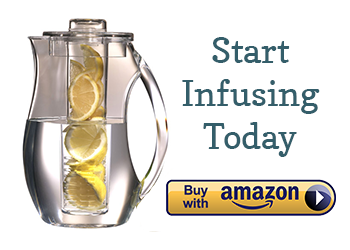 Or, you can infuse in the fridge for four hours. Health tip: sage is a proven memory booster. It is naturally high in antioxidants and flavonoids that are especially beneficial for people with inflammatory conditions. You can read more at WHFoods. would honeydew thyme and rosemary be a good combination?